This is partly a story about how I came to fall in love with the city of Atlanta, and the other part is sort of like a walking tour of the city. This is a journal entry that I first wrote nearly 15 years ago, so some things about the city have changed since this story was first penned. 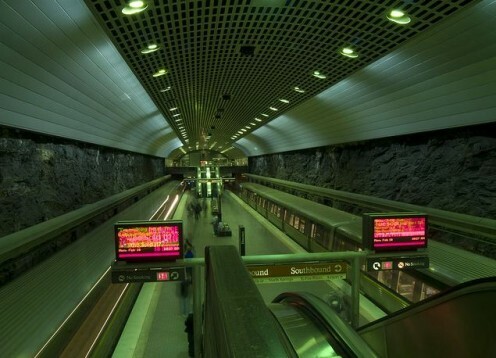 For instance, I talk fondly about Underground Atlanta, and I describe its close proximity of the World of Coca-Cola. These days, Underground Atlanta has lost its splendor (once again), the new ultra-tourist spot is Atlantic Station, and the World of Coca Cola has moved to the Centennial Olympic Park district. 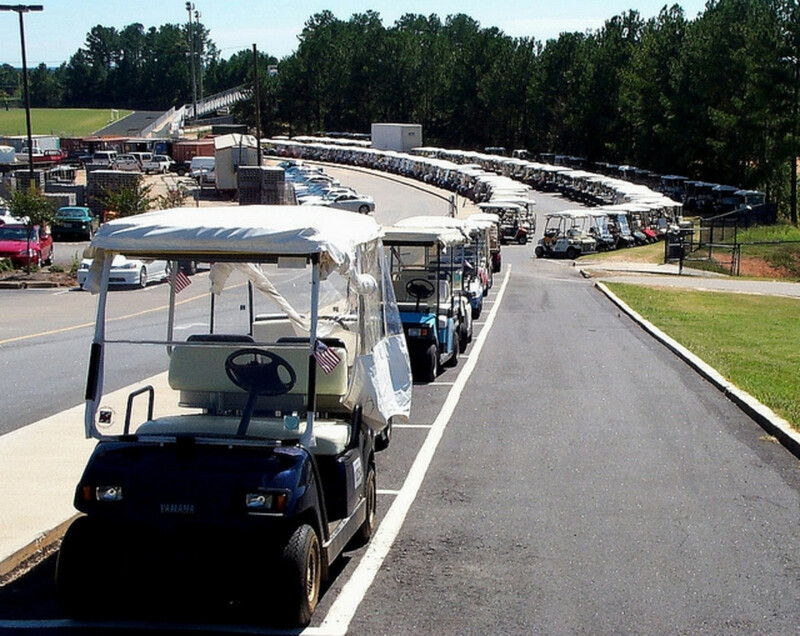 However, if you love Atlanta as much as I do, you will enjoy reading this story. If you would like to know more about the city, or if you have just moved to Atlanta, or one of its dozens of suburbs, stick around... you might enjoy reading this hub as well. If you could care less about Atlanta, why are you visiting an Atlanta fan hub? Get out of here and go create a hub about the city you love. Because I was raised military-style, I have had the opportunity to live in many places across this great country, from the laid back Cuban influenced heritage of Tampa Bay to the colorful Mexican influenced history of San Diego Bay. I have family roots planted firmly in Orlando, Florida, and New York City. At any given time, I had at my fingertips, the luxury of experiencing the wonder and magic of Walt Disney World, or the humbling, understated beauty of the Metropolitan Museum of Art. Either of those two world-renowned attractions could steal my heart depending on my mood. As a result of my experiences, I had become a bit jaded and was largely unimpressed by much of the offerings of other places. This is why I was greatly surprised when I found myself to have fallen in love with the city of Atlanta. Atlanta, Georgia, is the most astonishingly beautiful, culturally diverse, provocatively-exciting city of all of the places I have lived. Come with me on a journey, and let me share with you why I so love this brilliant jewel of the South. Downtown Atlanta, Five Points and the home of Dr. Martin Luther King, Jr.
My initial idea of a beautiful city was one that contained great architecturally-striking buildings, masses of diverse populations of people, intellectually stimulating, and hallowed institutions, rich history, and a vibrant nightlife. Atlanta contains all of the above facets, but it also contains one that I had not had much of an appreciation for previously, natural beauty. To satisfy my appetite for metropolitan splendor, the inner city is full of monolithic, smooth steel, dark glass, and grey granite skyscrapers. Starting from the downtown Five Points MARTA Rail Station, the first immediately noticeable sight is the heavy presence of street peddlers.They push everything from lushly colored, loudly fragranced fresh fruits to illegally-duped, remarkably authentic-looking CDs, DVDs, Audemars Piguet watches (fake or hot) and even Calphalon cookware. Immaculately dressed Muslim men carefully approach, selling floral and spicily-scented perfumed oils. Everywhere you go you can hear the call "Oils, Sister?" Through the clearing of hundreds of fashionably-hip, darkly-clothed Atlantans going about their way stands the large, welcoming, colorful sign of the entrance to Underground Atlanta. Just beyond lays the brightly lit, red and white, neon sign beckoning tourists to the World of Coca Cola.To the right, the elegantly-regal Georgia Capital building can be easily spotted with its dome adorned in 24 karat gold. A two minute MARTA train ride away is a historically relevant tourist spot not to be missed.The Martin Luther King Center for Non-Violent Social Change sits between Dr. King’s impeccably-kept childhood home and the equally well-kept church in which both he and his father pastored. 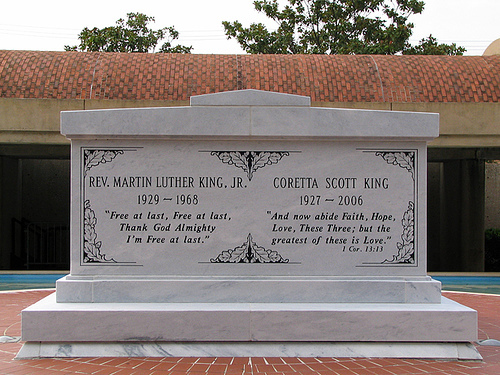 Outside of the mid-sized light tan colored buildings of the center, in the middle of the courtyard, sits Dr. King’s tomb suspended atop a pond of crystal blue water and adjacent to an eternal flame which represents peace. Because food is my main weakness, my attention is quickly drawn back toward downtown which boasts of anchoring the number five spot on the Food Network’s Best Cities list. You can satisfy your appetite by choosing a meal of perfectly grilled cuts of the finest aged beef, topped with crisply-fried shoestring onions and sautéed truffles... and then paired with Cajun seared prawn, and lightly steamed broccoli at the relatively expensive ($75+) Ruth’s Chris or Morton’s Steakhouse. 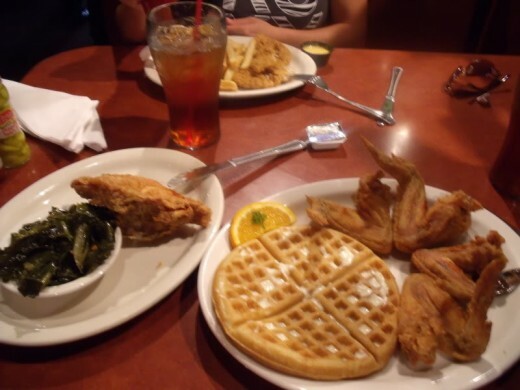 Or, you can gorge yourself on a traditionally Southern meal such as expertly seasoned, golden-fried chicken paired with habanero pepper laden collard greens, savory, heavily buttered white corn, and hot, buttered, melt-in-your mouth, sweet sour cream cornbread from the relatively frugal (less than $20) Gladys Knight’s Chicken and Waffles, PittyPat's Porch, or Mary Mac's Tea Room. Traditional Soul food restaurant. There is a location inside of Hartsfield International Airport, but the original, where Dr. Martin Luther King, Jr. once frequented, is located in Bankhead. Home of the famous Ann's Ghetto Burger - Say whatever you want, but say it with a mouth full. If you can eat a quarter of one of these burgers, you get special props. 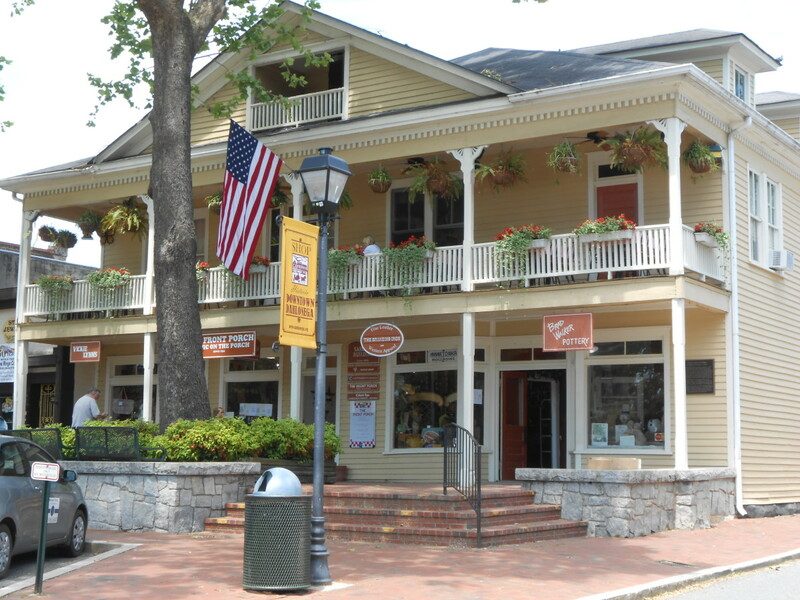 Tucked away along the peaceful banks of the Chattahoochee River, yet conveniently located in the Atlanta community of Vinings lies one of the countrys most acclaimed restaurants. Stoney River is a place for legendary steaks, traditional favorites and creative flavors in a classic lodge atmosphere, casual with contemporary style and flair, plus a staff that is friendly and engaging. Bacchanalia is Atlantas most celebrated restaurant featuring contemporary American cuisine from Chefs/Owners Anne Quatrano and Clifford Harrison whose culinary philosophy is creating light dishes built on strong flavors. Just beyond downtown lies Midtown Atlanta.It is the city’s Mecca for cultural haunts and events. Midtown claims homestead to the world-renowned Atlanta Symphony Orchestra and the Atlanta Ballet which are both housed in the strikingly beautiful modernistic High Museum of Art. 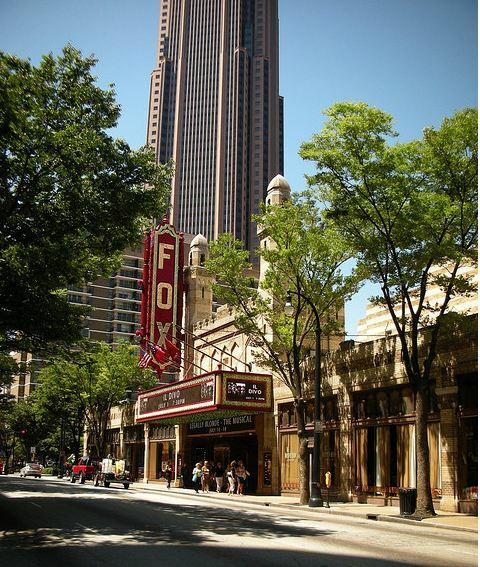 Nearby is the fabulous Fox Theatre and Center for Puppetry Arts. 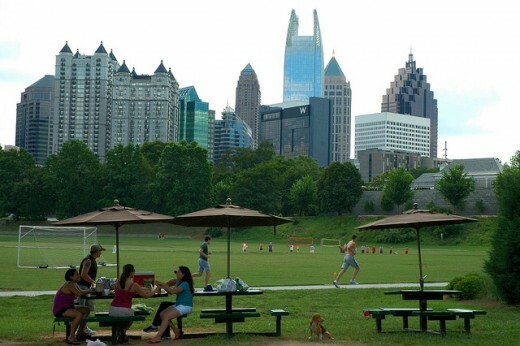 In the dead center of Midtown and adjacent to the monstrous high rises and more down-to-earth mid rises rests Piedmont Park.Although not quite the size of New York City’s Central Park, it was designed by the same designer, Frederick Law Olmsted. 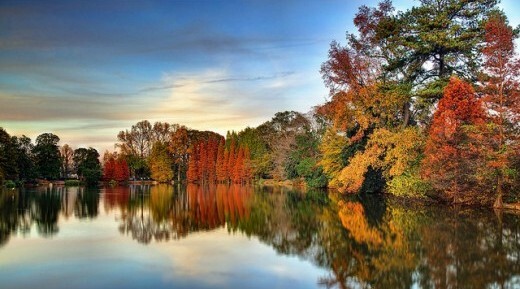 Located within the park is the exotically beautiful Atlanta Botanical Gardens, a stocked lake and fishing pier, meticulously manicured tennis courts, acres of softball fields, and rolling green hills with plenty of open space for leisurely picnics and large musical and theatrical venues. The surrounding neighborhoods are rich in culture, architectural splendor and extraordinarily beautiful institutions of higher learning (Emory University, Oglethorpe University, and Agnes Scott College are all blessed with breathtakingly beautiful campuses). Weaving away from the oft-crowded streets of midtown, one is enamored with the sights of majestic mansions, that exude privilege and old money, and it could signify your arrival in Druid Hills, Peachtree Hills, Tuxedo Park, or Buckhead. In these neighborhoods, you will find the elegantly beautiful, ivy-tinged campus of Emory University, which is comprised of eleven colleges, four teaching hospitals, the U.S. Centers for Disease Control, the Yerkes Primate Institute, and the James Earl Carter Center for Peace. Just a few miles to the East of Druid Hills is an entertainingly different kind of visual assault for the eyes.The Little Five Points District is abundant with the unconventional sights and sounds of the people who call it home. There is no single category for the residents of Little Five Points.Certain types are more evident than others: Gothic, grunge, alternative; and the average, garden-variety crunchy-granola, socially responsible types. At first glance, one might be a bit put off by these people or the neighborhood with funky thrift stores that bear names like “The Junkman’s Daughter” or the skull laden “Vortex Bar and Grille.”Conversing with these individuals will set your mind at ease, because their most common thread is that they are extremely bright individuals, and caring human beings. And then there is Buckhead, where the days are clogged with the wall-street types of this, the Atlanta financial district. But by night, Buckhead explodes with the lavish partying of the new money crowd and its wannabees. This district is one of the many homes to the likes of Whitney Houston, Sir Elton John, Evander Holyfield, and the city’s favorite son, Ted Turner. Ending the vast in-town Atlanta area is the Centennial Olympic Park region.Here, you will find the home of the district namesake, as well as the massively constructed Georgia Dome, which houses The Atlanta Falcons & Atlanta Hawks. 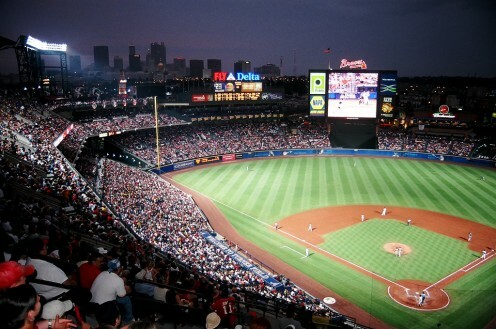 Turner Field, which is where the Atlanta Braves claim residence is nearby. 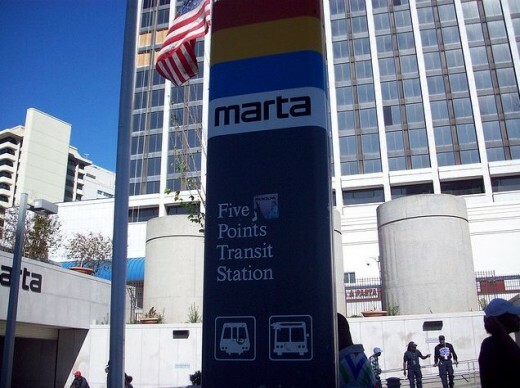 Near Centennial Olympic Park, you will also find the main campus of the CNN Center, which also houses its namesake, along with TBS, TNT, Turner Classic Movies, The Cartoon Network, Spike TV, and Adult Swim. Educational opportunities abound as Atlanta offers a plethora of impressive academic institutions. A mind can be filled with the wise teaching of professors from Georgia Tech, Georgia State, Emory, Oglethorpe, and Mercer Universities, Agnes Scott, Spellman, Morehouse, and Morris Brown Colleges, the five campuses of Georgia Perimeter College, and three campuses of Atlanta Metropolitan College. 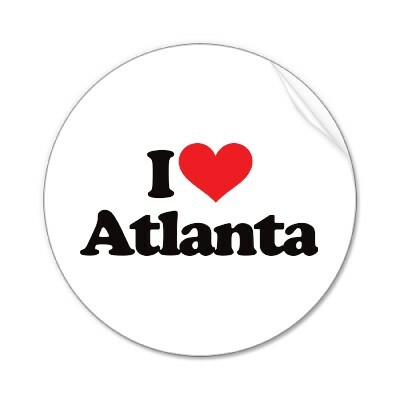 Upon commencement of education, career opportunities eagerly await because nearly 150 of the Fortune 1000 companies in America choose to make Atlanta their headquarters. 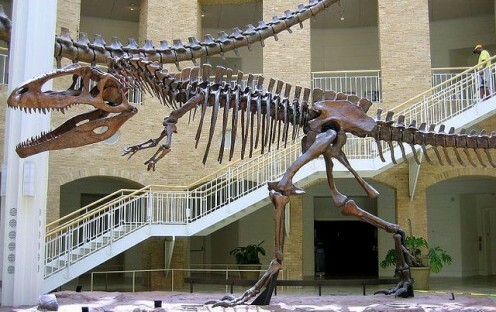 Emory University in Atlanta, GA is one of the world's leading research universities. The only all male historically black institution of higher learning in the United States. 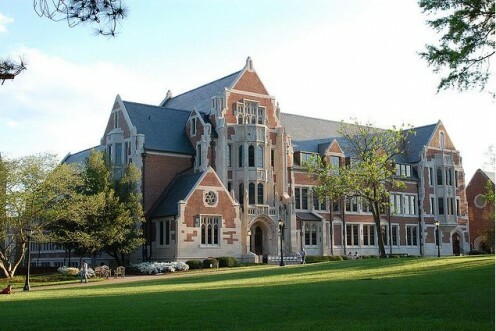 Oglethorpe University in Atlanta, Georgia, has been called one of the finest liberal-arts schools in the country. Business, DeKalb Technical College offers programs in Automotive, Business, Computer, Electronics and Engineering, Healthcare, Industrial and Professional Services at eight convenient locations in DeKalb County. Kennesaw State University, located 20 miles north of Atlanta, is Northwest Georgia's major university, and is the fastest growing school in the University System of Georgia. Liberal Arts institution part of the University System of Georgia. One of four Senior Military Colleges in the nation. A two-year, urban, commuter campus in southwest Atlanta. Clayton State University is part of the University of Georgia system of higher education. Life University specializes in chiropractic and health science education. Our chiropractic program is nationally recognized for training excellence. Established in 1881 by the African Methodist Episcopal Church. In Conclusion - I Love Atlanta! Without a doubt, Atlanta has made its indelible mark on my heart; it is here that I plan to spend the better years of my life into retirement. I cannot think of any place I’d rather be, this side of heaven. In the words of the immortal Ray Charles Robinson... “It’s an old sweet song that keeps Georgia forever on my mind. It's a beautiful city, you should visit sometime. I don't live there anymore, but I'll be moving back soon! I hope you had a happy Thanksgiving! I've never been there,.Rachelle, so thanks for the tour. I hope you had a wonderful Thanksgiving! I also love Atlanta, Georgia. The shopping and dining experience is like no other. It's definitely a gem of the south.